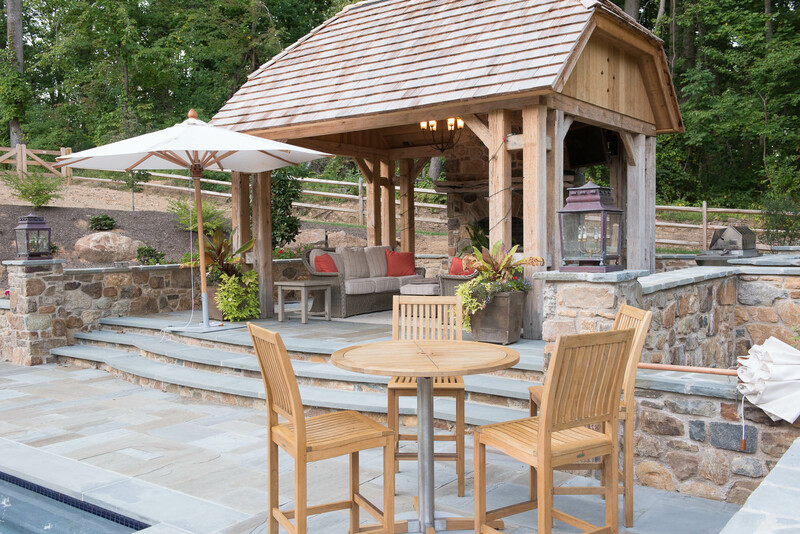 Latta Kennedy Builders created this backyard oasis from a design by Peter Zimmerman Architects for this secluded Chester County home. 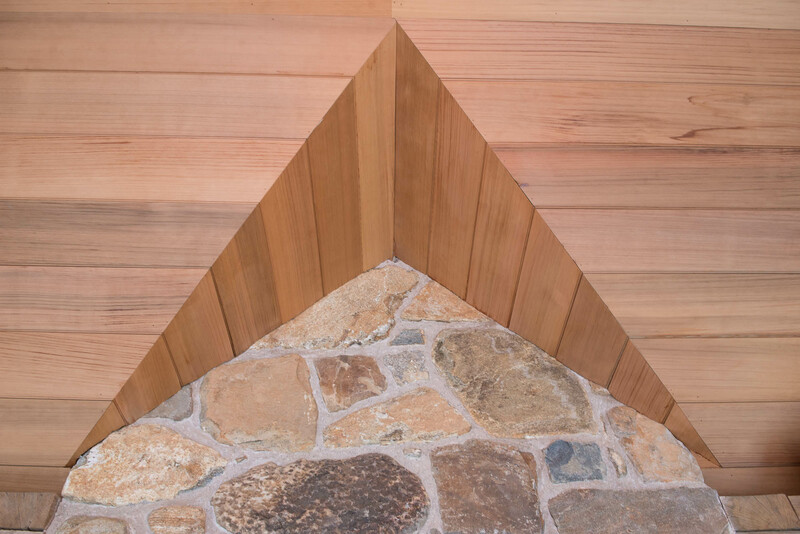 The main timbers of the gracious pavilion are reclaimed red and white oak barn beams, while the ceiling was constructed of western red cedar planks. 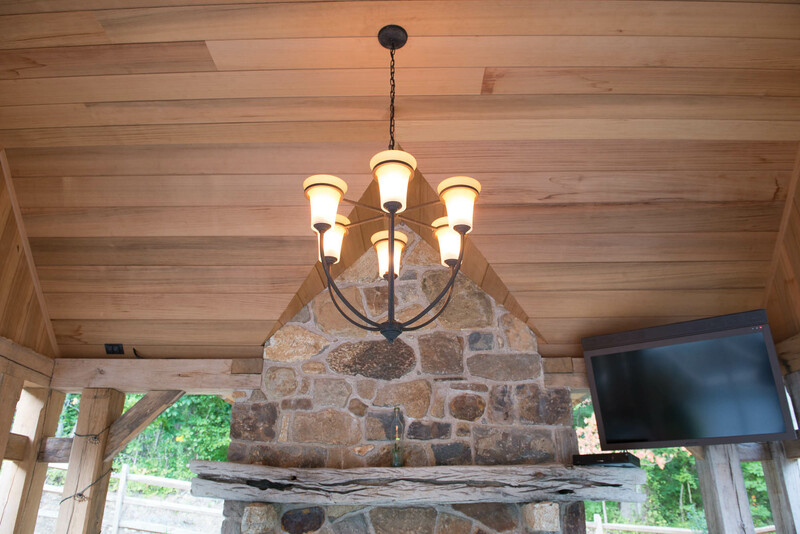 The fireplace of native stone meets the perfectly mitered peaked cedar ceiling. 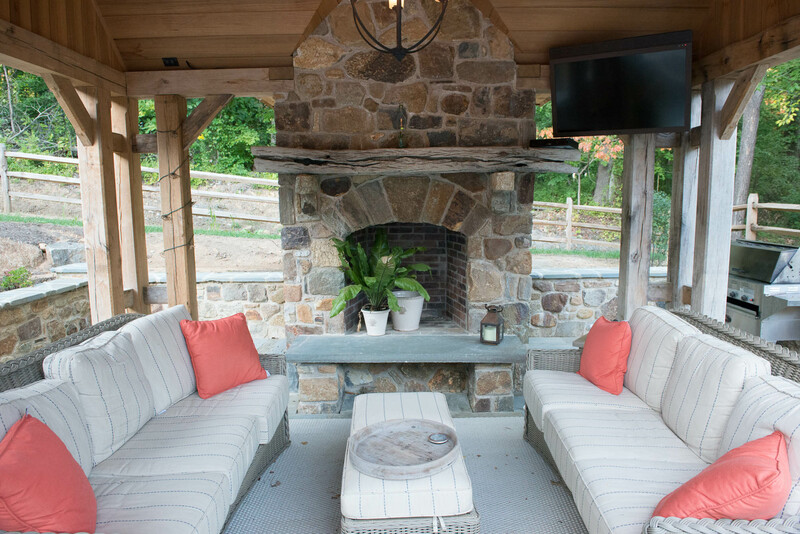 Comfortable outdoor seating invites family and friends to gather in the pavilion around a stone fireplace during any season. 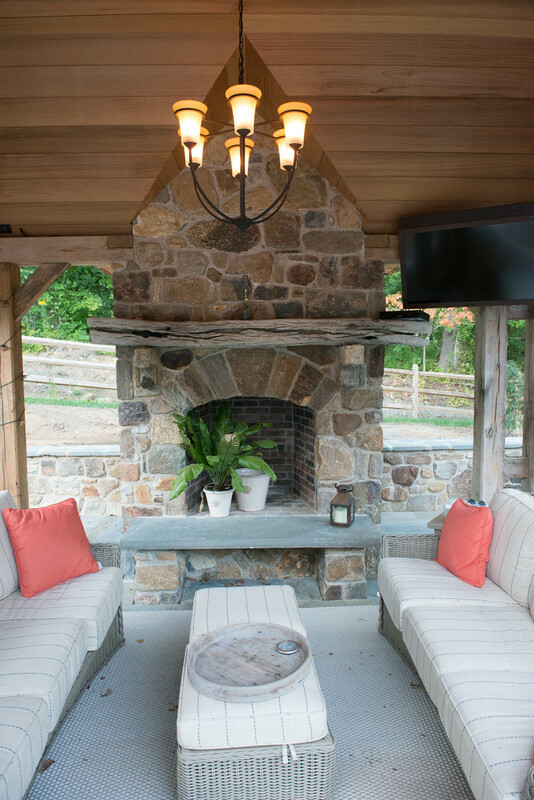 The fireplace mantel was created from a weathered railroad tie. 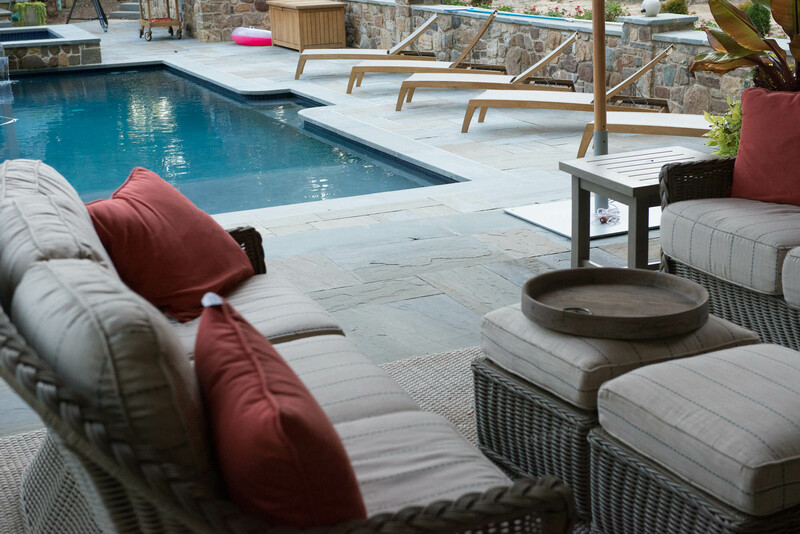 A seat in the pavilion affords a view of the pool with its blue stone decking from Rolling Rock Quarry. Three monolithic blue stone stairs descend from the pavilion to the expansive pool deck with its multiple seating areas for entertaining and relaxing. Rock walls capped with Rolling Rock blue stone enclose the pavilion, pool and guest house, giving a feeling of intimacy to this spacious backyard haven.